The food truck business is flourishing, with an all new generation of budding chefs and culinary enthusiasts setting up their mobile shops in all corners of the city. Setting up a food truck business involves a far lower overhead cost as compared to opening and running a restaurant or eatery. It is also a safer option as the business can be relocated if a particular location is not generating enough profits. The size of the food truck matters as it needs to accommodate the maximum amount of inventory possible so as to make enough money each day. Make a wise choice while purchasing a vehicle that can be converted into a culinary truck. 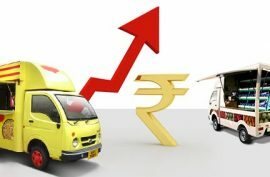 Out of many automobile companies offering their commercial vehicles for the mobile food business, Tata Ace - Cafeteria mini trucks prove to be a feasible choice to set up the food truck business such as snack centre or cafeteria on wheels. 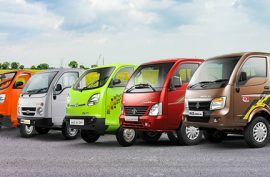 With its sturdy metal body in vibrant colors, the Tata Ace mini truck a striking food truck that can be placed at prominent locations and at corporate hubs that have a fewer number of restaurants catering to a sizeable employee population. 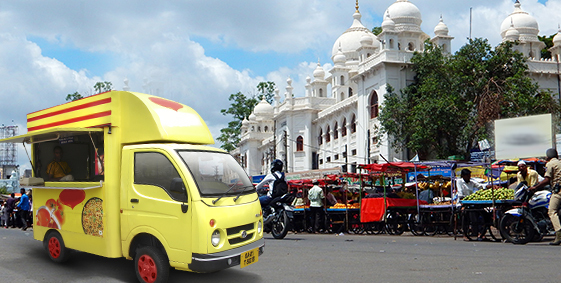 Based on customer requirements, the Tata Ace – Cafeteria mini-truck can be customized into the perfect food truck in under 30 days. Thereafter, you will have a reliable vehicle that will not only draw in people with its eye catching colour, but also enable you to meet every standard of food hygiene and kitchen maintenance in the available space. Some popular food items often prepared and sold on food trucks are burgers, rolls, pastas, ice creams and sandwiches. 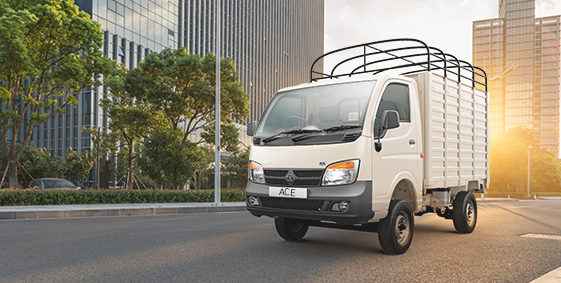 The Tata Ace - Cafeteria customization comes with a host of features that enable it to be used as a street food van, mobile snack center, mobile catering van and a kitchen on wheels. They can also be furnished with customized interiors, aluminum plates, steel sheets, cooking or storage range, window panels with LED lights etc. Along with a cash box, almost every major kitchen appliance can be installed – like an induction microwave, refrigerator, micro oven and deep freezer. 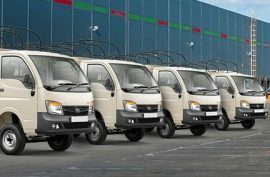 Tata Ace – Cafeteria mini trucks have been designed alongside a slew of highly experience professionals from the food industry, who have brought invaluable suggestions to the table to create a food truck that is not just attractive and spacious but also attuned to the requirement of chefs. The rates will vary based on the theme and design components used for revamping the mini truck. 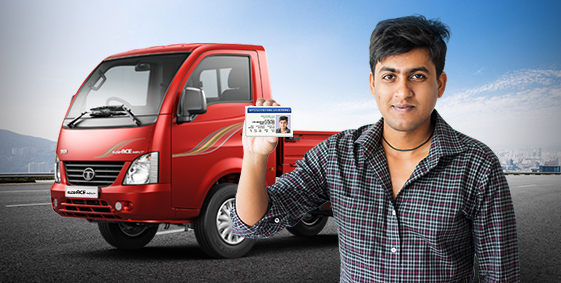 Tata Ace, Tata Super Ace, Tata Zip are the variants that are usually preferred for modification into food trucks.